Professional Photography – Perfect for showing off your property in the best possible way to potential buyers and tenants. Floor Plans – A great addition to show the layout of the property allowing tenants and vendors to plan where their furniture will go. Portals – Right Move, Zoopla, Prime Locations and Move Bubble – Advertising on all on these portals will result in targeting a large audience to ensure your property is leased or sold as quickly as possible. Facebook, Twitter and Instagram – Social media is used by a large number of the general public so again will target people quickly and efficiently. 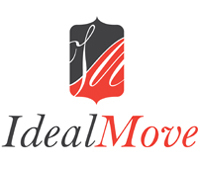 Mail shots to applicants registered of Ideal Move – When applicants register with us we gather information about their property requirements and therefore will send emails of properties matching their criteria ensuring they see the details quickly. High Street Window Exposure – For passers-by we will ensure that the property material is easily seen for interested buyers and tenants. Free Valuation – These allow you to have your property valued before deciding if you would like to go ahead with Ideal Move. Expert Local Knowledge – Our experienced team will be able to offer advice on the local area as well as the property itself which is just as important. Video Marketing – Videos are a great marketing tool as well as photographs to market properties and local areas providing audiences with even more detail. Please contact the office if you have any questions on the above and we will be very happy to help you.